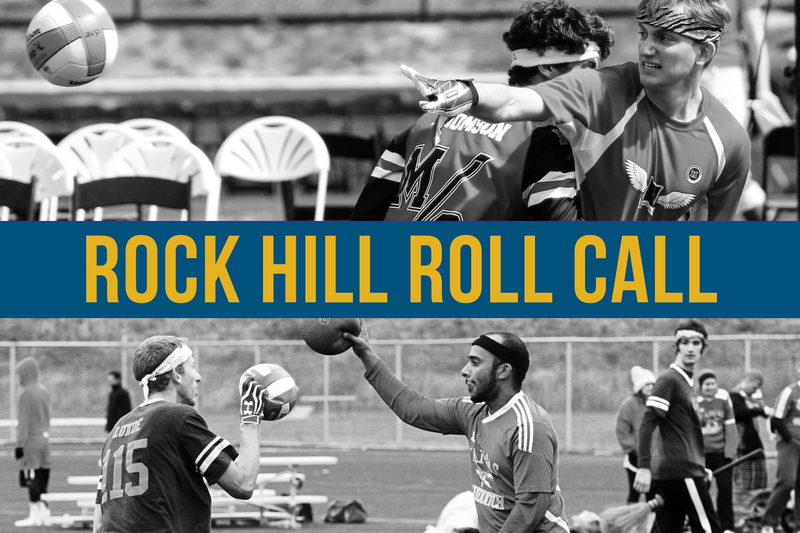 Rock Hill Roll Call is your in-depth guide to the 80 teams that will compete for the title of World Cup 8 Champion. We’ve reached out to writers and analysts all over the country to bring you the lineups, strategies, focal points and aspirations of each and every attending team. Whether you are looking for a leg up on the competition or just want a detailed preview of the sport’s main event, this is the place for you. It is hard to find an X-factor on a team that is already so established. Running up a 27-2 record on the way to their 2014 Midwest Regional Championship, Ohio State has displayed dominance in all phases of the game. 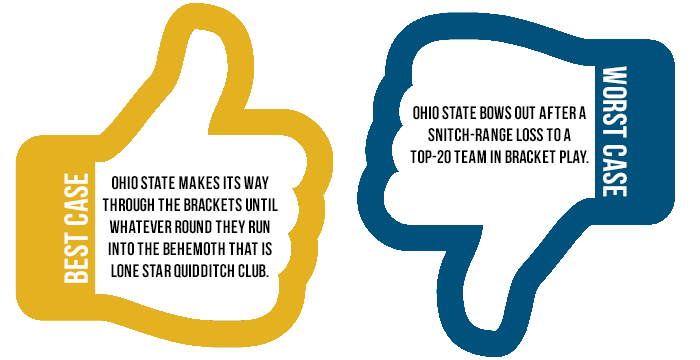 Coming into the season off of an Elite-Eight, snitch-range loss to World Cup VII runner-up Texas State University without major turnover of their roster, expectations were high for Ohio State and they delivered, their only two losses coming on a 50*-40 loss to a turtling Ball State University and an overtime loss to Blue Mountain Quidditch Club, in which Blue Mountain caught both snitches. Given their success in the fall, Ohio State has high World Cup aspirations that will need a few things to click before they can be fully realized, the health and play of star keeper David Hoops being first and foremost. For much of the season, Hoops coached his team from the sideline, only playing when necessary due to health concerns. Even in the moments that he did play, he seemed reluctant to drive on the hoops and functioned only as a passive distributor within the offense. Gunnar Smyth has filled in admirably for Hoops, but the quickness and accuracy of the veteran keeper is something that will put this team over the top if he plays without reservation. A welcome addition to the already potential championship squad has been the seeker play of Brien “Baby Beluga” Polivka. While most seekers try for lunges that could be seen on a wrestling mat, Polivka seeks in a way that resembles a drunken game of patty-cake. 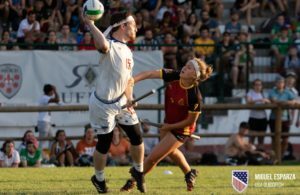 Emphasizing hand control and using both hands fluidly, Polivka could provide the run to the title for a team that is difficult to get out of snitch range. Putting Ohio State away will be a tough task for any team they face. 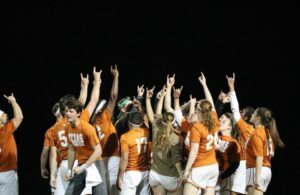 They have a deep roster made up of players with different skill sets, and they are capable of matching both the speed and physicality of their opponents. Perhaps the most disturbing thing about their casual run through the Midwest Regional Championship is that they did it without Chris Bowman, an exceptional point defender and partner in crime to Jeremy Boettner on offense. Their offense would be best described as a basketball offense. Passing the ball from side to side on the front-side of the hoops, they are patient in selecting matchups of which they can take advantage. Normally, this matchup is chaser Boettner, who has elite talent in terms of lateral quickness and shot accuracy. The best way to counter this is to do everything within your power to keep the ball out of his hands with tight man coverage. However, this offense is far from one dimensional. With a slew of capable distributors and well-defined offensive spacing, the communication between your keeper and beaters must be one step ahead of this practiced offense. Ohio State often sends chasers to post up in front of the hoops to take advantage of any size mismatches, and if you leave Marisa Dimare with any space to work with near the hoops, you might as well not bother playing defense at all. Defensively, they will not do anything that you haven’t seen before, although they may do it better than you have seen it done. Their chasers are not hesitant to tackle and their keepers have shown remarkable range getting to both shots and passes. Starting beaters Matt Eveland and Julie Fritz are top-of-the-line talents, and Ohio State relies on them to consistently make difficult plays in the beating game. They excel at regaining control during offensive sets and utilizing both bludgers on defense. If you are hesitant to incorporate your beaters into your offensive game plan, your game plan had better not rely on scoring many points. Central Michigan entered the season with many of their chasers and keepers returning, guaranteeing the squad would maintain its dominant offense and physical man defense. However, many expected them to struggle due to the loss of three of their beaters. And struggle they did. 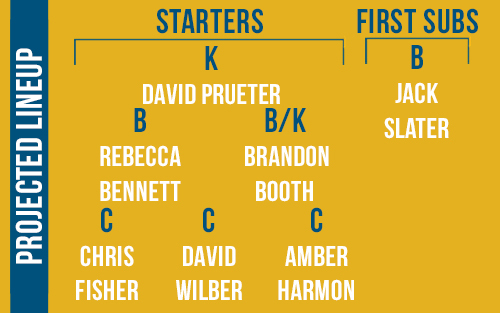 Starters Rebecca Bennett and Brandon Booth are both strong in their own rights, but their isn’t much depth behind them. Behind Booth, you have Jack Slater. Slater has started to make a name for himself by using his size to body up opponents, but he is still trying to grasp the game as a whole. These three have the potential to form a strong base, however, it may take them more than two months to develop their new beater core. 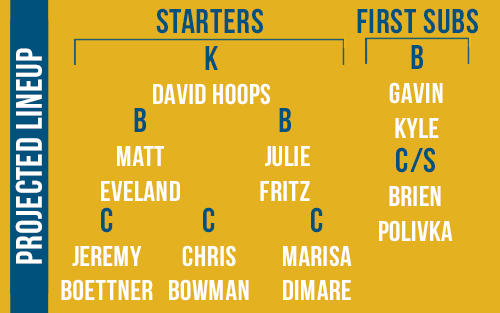 In terms of chasers, the team will be without Steve Stove and Adam Landis this semester. Without Landis to take the opening rush, the next best option is Booth, but he is needed at beater. 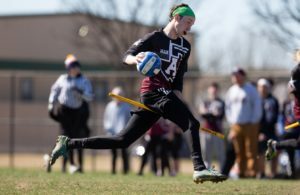 The loss of Stove shouldn’t damage their chaser lineup, but it will change their seeker game, as he is noted for making a couple of clutch grabs for the Centaurs. With Stove leaving and Booth only able to play one position at a time, the Centaur’s seeking game will be weak. If the team can’t find a replacement for Stove, it will be up to Slater to step up at beater, allowing Booth to make the grabs. As for the rest of the team, key pieces include keeper David Prueter and chaser David Wilber, who play opposite roles on both offense and defense. Prueter is the strategic mind on offense, making smart passes and sniping long shots, while Wilber uses his size to drive toward the hoops. Defensively, Wilber plays a physical point defense to force the ball carrier to take long shots or make poor passing decisions, while Prueter either blocks the shot or intercepts the pass. So what’s the key to beating Central Michigan? Control the beating game. Without bludger control, the offense opens up, and the beaters give up points by getting easily caught up in beater play. As mentioned, Prueter blocks long shots, so driving and quick and accurate passes toward the back of the hoops are guaranteed points for your offense. 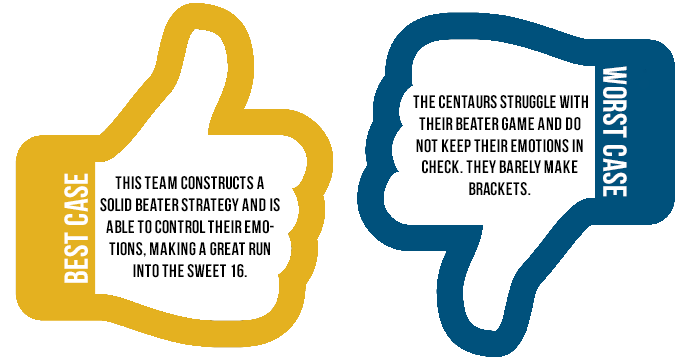 When you’re on defense, winning is a matter of forcing the Centaurs to slow down and shutting down their driving lanes. In order to win, Central Michigan has to adequately utilize Brandon Booth. Previously, Booth was a Keeper behind David Prueter. With the team taking a big loss in their beater core they are looking to Booth to step up as beater. Booth is one of the most athletic players on the team and they relied heavily on him last season as an offensive threat and in the seeker game. Booth continuously switches back and forth from beater to keeper to give his teammates rest in game, but before he can get a breather himself he’s on pitch again as seeker. As athletic as Booth is, he can’t carry three different positions throughout the game. Keeping him fresh will prove to be a tall task for the Centaurs and will control how far they go at World Cup. In addition, Booth often receives multiple cards in tournaments due to lack of controlling his actions and emotions. Booth’s mentality plays heavily on the team’s overall psyche and usually his emotions resonate throughout the team. In order to reach their full potential, Central Michigan is going to need Booth to be at full strength—physically and mentally—on the pitch. Graphics and photo illustration by Amanda Dallas. Original photos by Nicole Harrig (top) and Matt Dwyer (bottom).